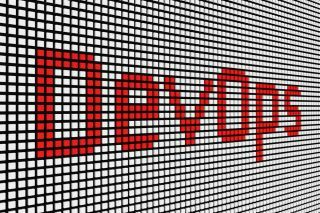 Venture capital (VC) investment into DevOps continues to rise - what do they need to look for? If you look closely, you can see new layers of value being built on top of the foundational investments that create today’s investment opportunity. For instance, early success with the Internet and Cloud Computing has given rise to more powerful cloud native, Microservices, Containers and Serverless architectures. But at the enterprise level, it's not just about “DevOps-ing with the new stuff,” a lot opportunity also exists in “DevOps-ing the old.” Most companies are onboarding new generations of technology, but they can’t just get rid of the technology they already have – mainframe, for example. DevOps is a superset of all of the foundational layers that have been set previously. Done right, DevOps ensures that software gets released on business demand regardless of the underlying technologies. Today’s cloud will become tomorrow’s mainframe replaced by something else that’s disruptive. By adopting DevOps companies insulate themselves from these technological shocks, enabling them to easily leverage new disruptions on their terms. So, should VC firms just find a space and invest money with the category leader? Maybe - but it's not just about money - it's about synergies, goal alignment, and the VC value-add. The VC firms that are most successful become so by investing in companies that are helping to build its industry’s community, best practices and ecosystems. What can a VC do to accelerate the growth of the company it is investing in for the long haul? Help the company build and nurture high performance through its own culture, systems and resiliency, which in turn will help the firm realise a solid return on the investment.